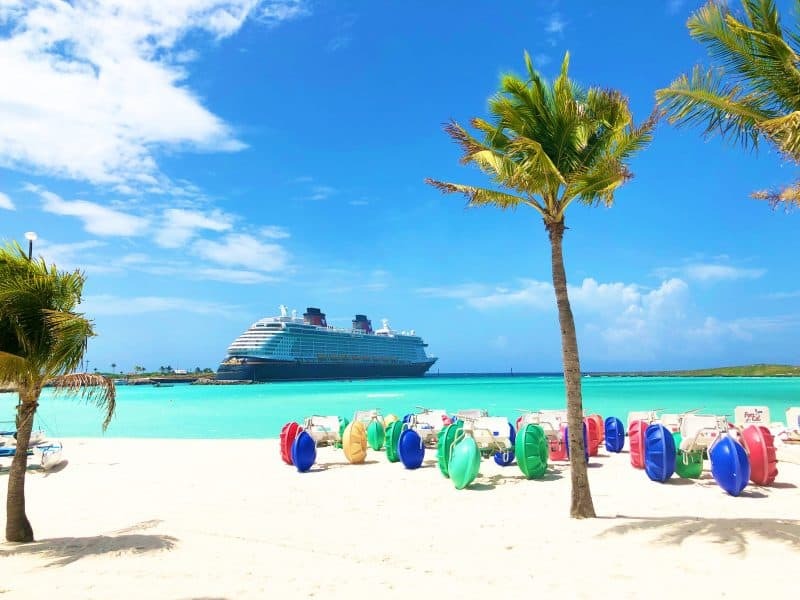 Castaway Cay is always our favorite day on a Disney Cruise! My number one piece of advise to my clients sailing on a Disney Cruise is not to over-schedule themselves. This is not a vacation experience like Disney World where you must know where you are eating 180 days in advance and what ride you would like to be on 60 days in advance. 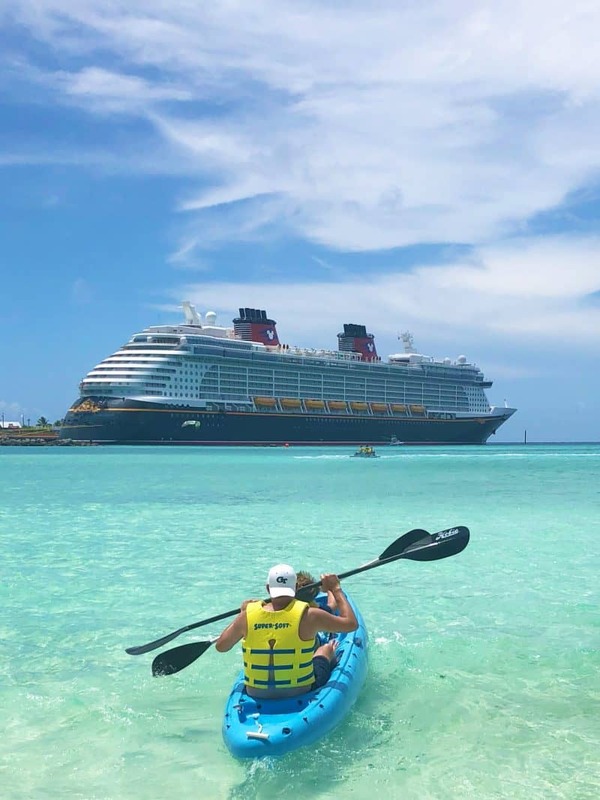 That’s the beauty of a Disney Cruise! You get the magic, service and experience of Disney World but in a much more relaxed, carefree, vacation environment. 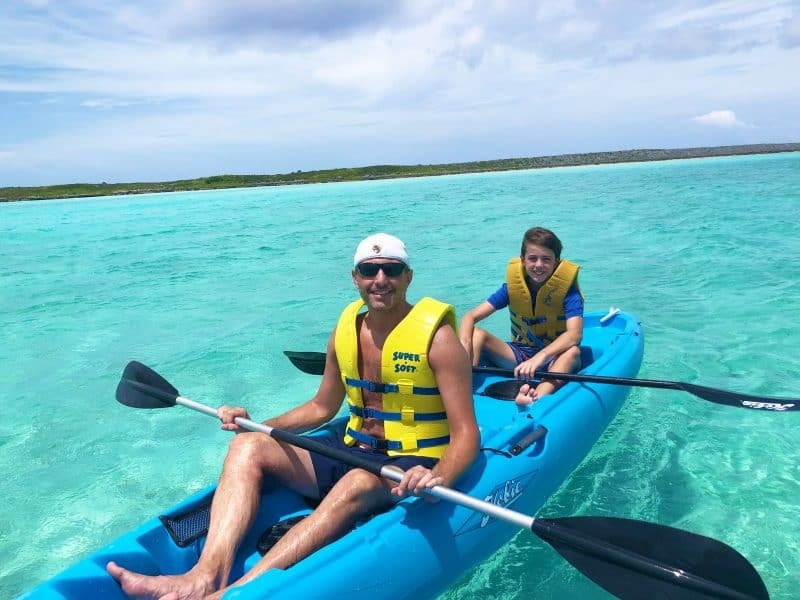 So, that being said, I thought I’d talk about watercraft rentals at Castaway and some of our other island favorites. 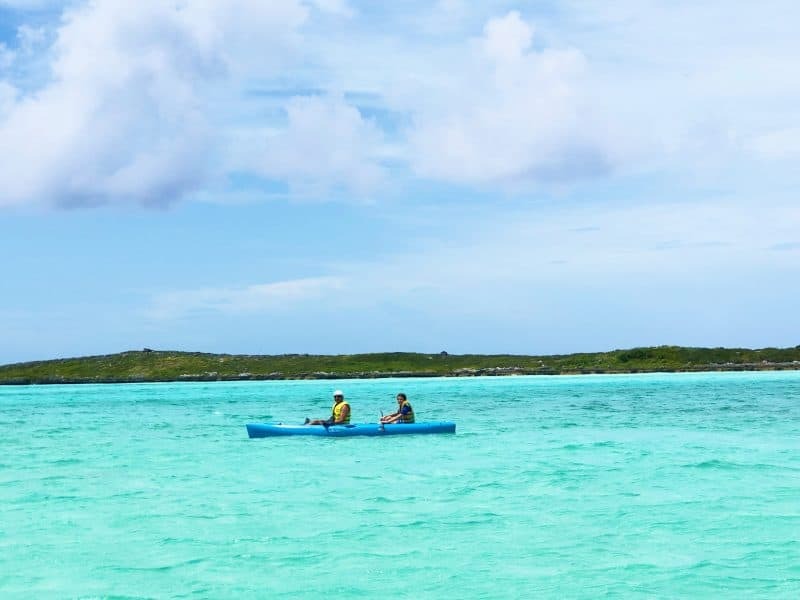 The great thing about watercraft rentals, float rentals and snorkel gear is that they don’t have to be reserved in advance. In fact, watercraft rentals can’t! So, you can see how your day unfolds and just walk up to reserve something on the fly! Whit has asked for years to rent a water trike and I never took the bait. On our last cruise I did. And, boy oh boy, this is not for the weak or weary. The tide and wind were working against us and we were literally going NOWHERE. Meanwhile, Honey and John were tooling all around us at warp speed. They LOVED the kayak rental and both recommended it. They got some great photos in close proximity to the ship and saw some bigger fish as they got away from the shore. None of these will sell out, and there is no great need to reserve in advance. Talking about Castaway Cay feels so strange today. Our schools are already closed for tomorrow in anticipation of some good old Georgia snow! 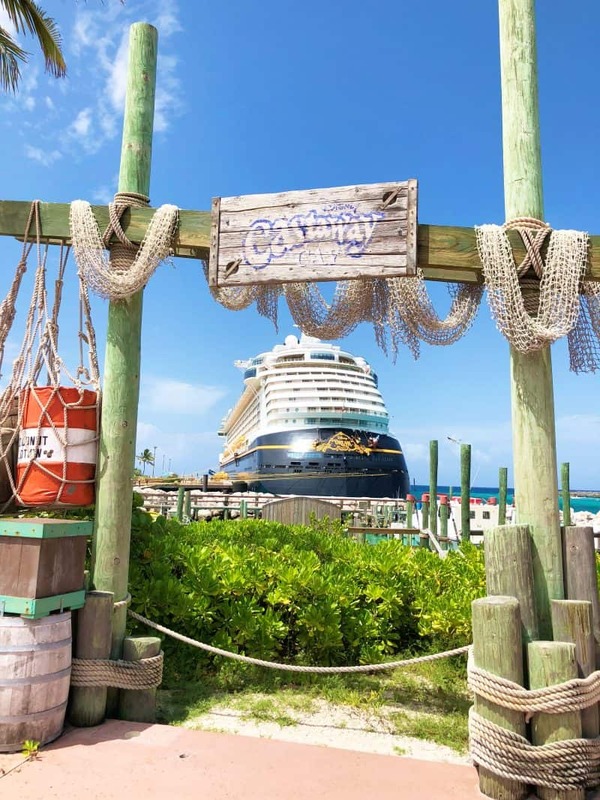 We went on a Disney cruise (Western Caribbean) for our 20th anniversary almost 10 yeas ago and while we loved Grand Cayman Islands the highlight was Castaway Cay. There is nothing like it! 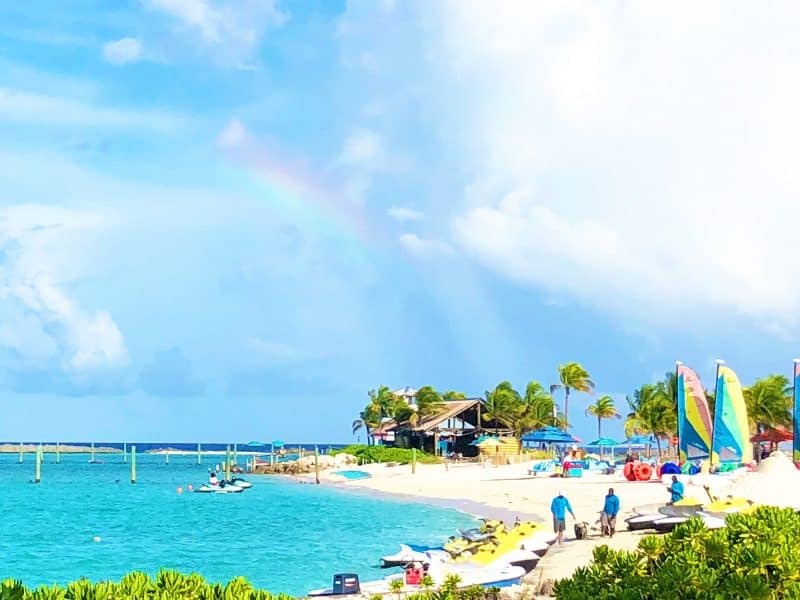 It is a gorgeous island with beautiful beaches and so many fun activities. 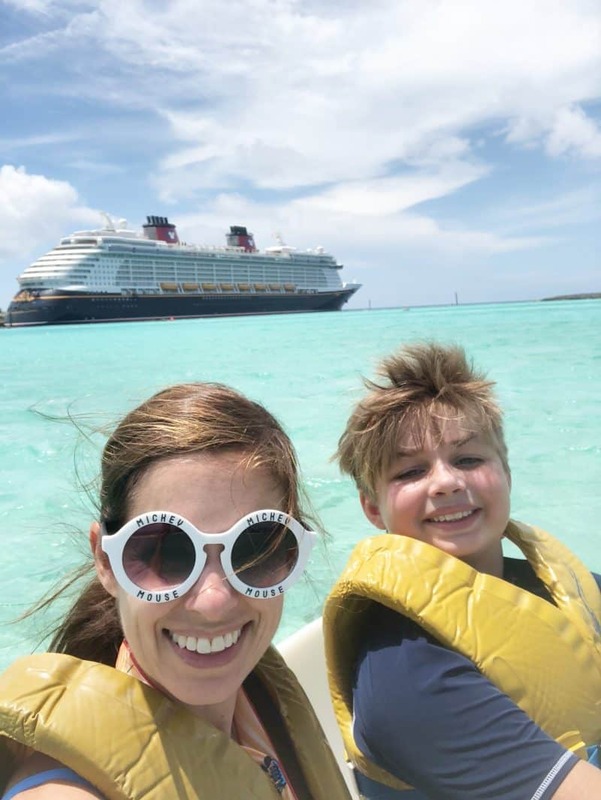 We took my parents along on the trip and initially we were concerned about going on a Disney cruise with just adults and that we would be overrun by small children and teenagers. That’s was not the case at all and Disney has designated adult only beach sections on Castaway Cay as well as adult only pools on the cruise ship. In fact, we didn’t really see many children during the day as they were busy doing other activities and at dinner was really the only time we had interaction with kids but it was actually fun as many nights were themed and thankfully all the kids during dinner were well behaved and polite. Yes! My parents cruise DCL without us all the time!! I loved reading about your trips! 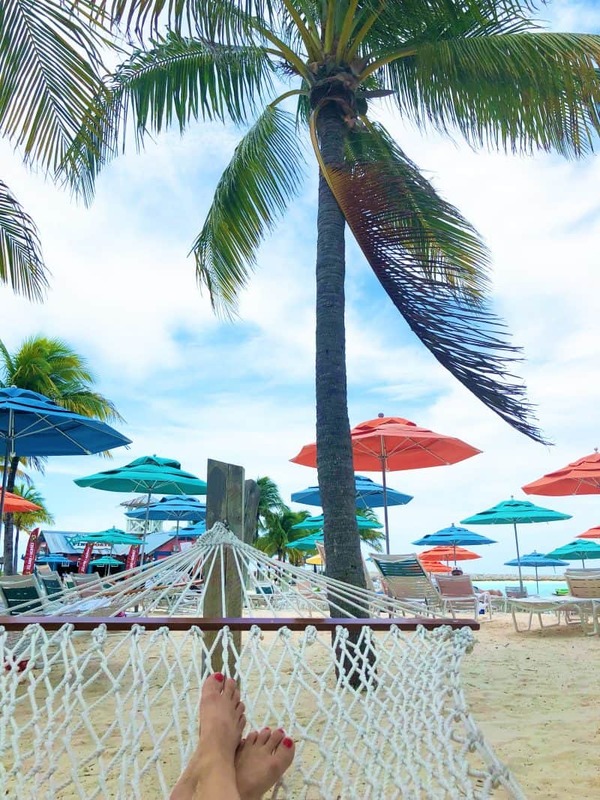 This snow day without any actual snow has us dreaming of hammocks on Castaway Cay – 19 days (but whose counting!)! You’ll be there so soon!! !